6.Add the paneer cubes to the gravy just before serving. Stunning rich looking paneer ambali, thought making this dish might be a long process, thanks for this fabulous dish.. Thanks for sharing this recipe..Rich in both look and taste. I have got some paneer at home now, I'm going to try it very soon, yummy! That one is sure shot hit with anyone with so many nice ingredients going into it. Looks so creamy. Awesome!! Very interesting recipe and looks delicious !! Very interesting recipe dear and new to me.Luks deliciously yumm.Luv to try it soon.Luv ur yumm blog.Nice to know a fellow-blogger from Chennai.Glad to follow U and thanks for ur sweet comments at my space. A creamy & luscious gravy!! All i need is some buttery naans to polish this off!! Looks very inviting! The recipe is totally new to me:-)Wud love to try it! Looks great! :) Though I don't think I can ever make it, I can sure eat it if you can send it by registered post, postage paid by addressee :) Thanks for visiting my blog. Please keep in touch. Hey gr8 to c u today... u indeed ha a feast waiting for us here..... yummmmm! All thanx to you...all your motivation and guidance only. 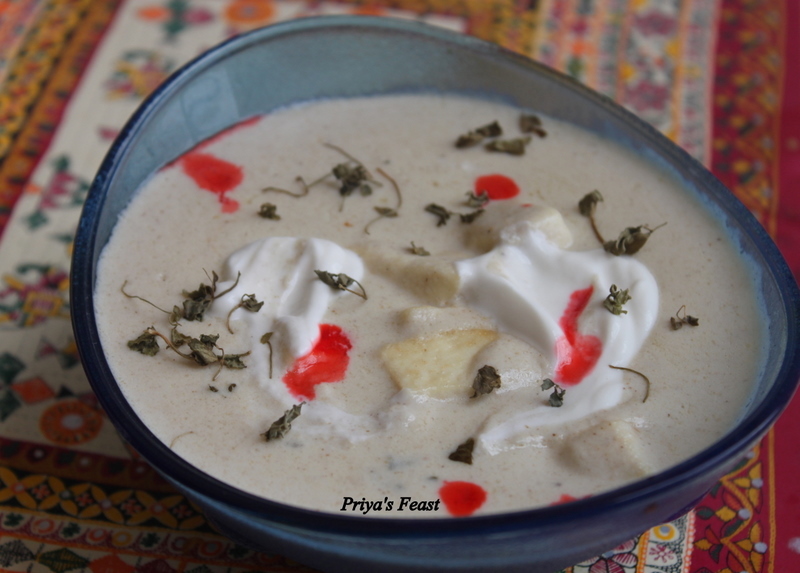 and nice creamy paneer recipe. Sounds new to me and loved the recipe. Pics are tempting,nice clarity! looks delicious and yummy !!!!!!! BTW, I have heard of ragi ambali but this paneer ambali is new to me and like the way it looks and presented. Its first time here and u have lots of interesting recipes.Book marked ur blog..